That was Elvis Presley’s response to a question about his immediate plans now that he was a civilian again. Amidst a snowstorm of press coverage, he had been released from the army just two days earlier at Fort Dix, New Jersey. The pressure was on Elvis to get back into show biz and to do it quickly. The last time he had been in a recording studio was June 10, 1958, during a two-week furlough after his army training. 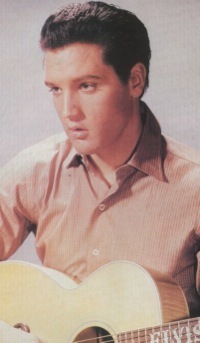 RCA had spread out the release of the handful of songs he cut that day to cover the 21 months remaining in Elvis’s army hitch. 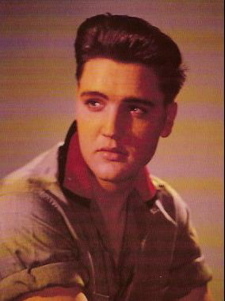 By the time of his discharge, though, the Presley pipeline at RCA had run dry, and the label wanted its star performer in the studio as soon as possible. 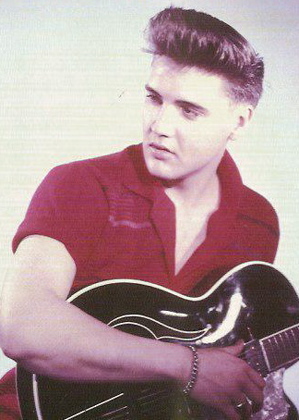 At Hill & Range Music, Freddy Bienstock had been put in charge of gathering new songs for Elvis to record. 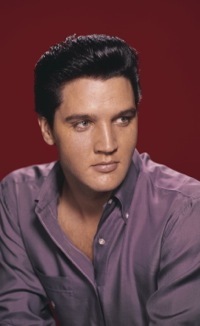 Some writers who had written for Elvis provided new material. They included Otis Blackwell, Aaron Schroeder, and the team of Ben Weisman and Fred Wise. Some new H&R writers, most prominently the team of Doc Pomus and Mort Shuman, also provided songs especially written for Elvis. Bienstock had a stack of demonstration acetates ready for Elvis to review in Studio B. 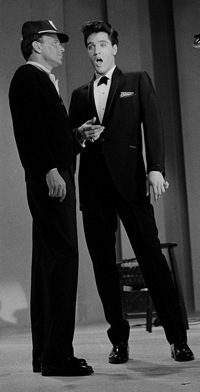 A seething dispute with Colonel Parker prevented Jerry Leiber and Mike Stoller, who had composed many of Presley’s most well known pre-army songs, from presenting new material. However, “Dirty, Dirty Feeling,” a Leiber-Stoller rocker originally intended for the King Creole soundtrack, was still available. Colonel Parker apparently brought a tune to the session, hoping Elvis would record it. “Are You Lonesome Tonight?” was an often-recorded song dating back to the 1920s. Legend has it that it was a favorite of the Colonel’s wife, who asked her husband to suggest it to Elvis. Then, as he stated at the Graceland press conference, Elvis came to the session with a list of titles he had compiled during his deployment in Germany. Most of them were rhythm and blues numbers from his own record collection, including “Soldier Boy,” a hit for the Four Fellows in 1955; “Such a Night,” a 1954 hit by the Drifters’ and “Reconsider Baby,” written and recorded by Lowell Fulson in 1953. 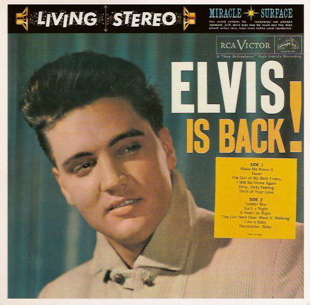 There was another song destined for the “Elvis Is Back” sessions that combined both old and new elements. 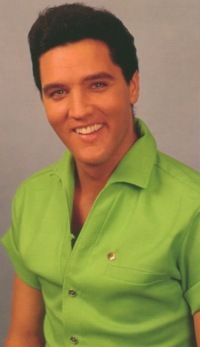 In Germany Elvis had told Bienstock that he liked “O Sole Mio,” an Italian tune dating back to the turn of the century. On returning to New York, Freddy turned the job of writing new English lyrics for the old melody to H&R writers Aaron Schroeder and Wally Gold. 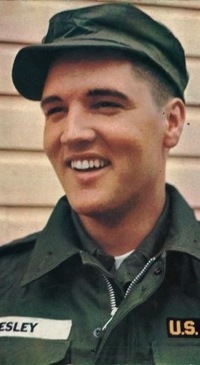 “It’s Now or Never” became one of Elvis’s top priorities for the first post-army sessions. Finally, if possible, Elvis wanted to help out a couple of his friends by recording music they favored. Scotty Moore offered “The Girl Next Door Went A-Walking,” written by Thomas Wayne, a singer-songwriter Scotty had worked with while Elvis was away. Also, Elvis wanted to work Charlie Hodge, an army buddy, into the session somehow. Their duet on “I Will Be Home Again” was one of the last songs recorded at Studio B on April 3. On the evening of March 20, 1960, all of the principals assembled at RCA’s Studio B in Nashville. Elvis, along with Scotty, D.J., and Freddy Bienstock, left Graceland at noon on a chartered bus for the drive to Nashville. Waiting for them in the studio were the other musicians, along with Colonel Parker, Sholes, and Bullock. After sending out for hamburgers and renewing old acquaintances, Elvis started work on his first recording session in nearly two years. 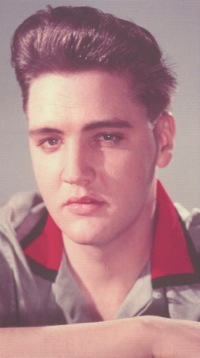 The public got its first taste of the “Elvis Is Back” sessions when “Stuck on You” and “Fame and Fortune” were released as a single on March 23, just three days after they were recorded. “Stuck on You,” the A-side, spent four weeks at #1 on Billboard’s “Hot 100” pop chart. As the B-side, “Fame and Fortune” reached #17 on the chart. 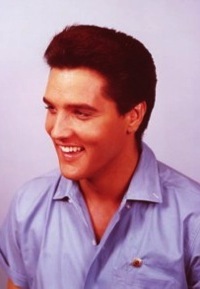 Two more blockbuster Presley singles came from the “Elvis Is Back” sessions. “It’s Now or Never” spent five weeks atop the “Hot 100” in late summer, and “Are You Lonesome Tonight?” followed at year’s end with six more weeks at #1. Their respective flip sides also charted—“A Mess of Blues” at #32 and “I Gotta Know” at #20. 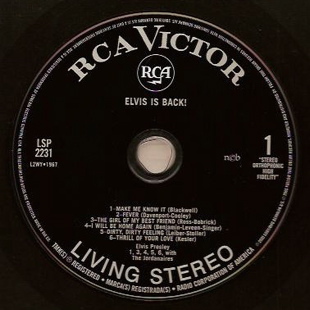 The remaining 12 recordings from Elvis’s first post-army sessions were packaged in the “Elvis Is Back!” LP, shipped by RCA on April 8, just four days after most of the tracks had been recorded. In its initial release, about 300,000 copies were sold, which turned out to be a bit of a disappointment for RCA officials. Not all reviews were positive, however. Writing in The New York Times on May 8, John S. Wilson didn’t dig the new Elvis. Such criticism was muted, though. All of those who really mattered were thrilled with the results of the “Elvis Is Back” sessions. Colonel Parker’s hopes that his client would make a successful transition into pop’s mainstream were realized. Steve Sholes and the other anxious execs at RCA relaxed, knowing the label’s premier recording artist had returned stronger than ever. 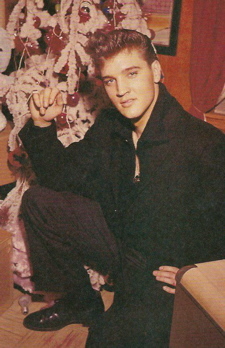 Elvis’s fans welcomed him home and made him the biggest-selling singer of the year. Finally, and surely most important of all, Elvis himself realized that his fears, openly expressed during the army years, of being forgotten amid new musical trends were unfounded. Read More About "Are You Lonesome Tonight?" "The two sessions resulted in the most artistically and commercially successful recording effort of Elvis’s career."